The fire, which killed at least 17 people, initially broke out in the second floor of the building, a North Delhi Municipal Corporation official said. 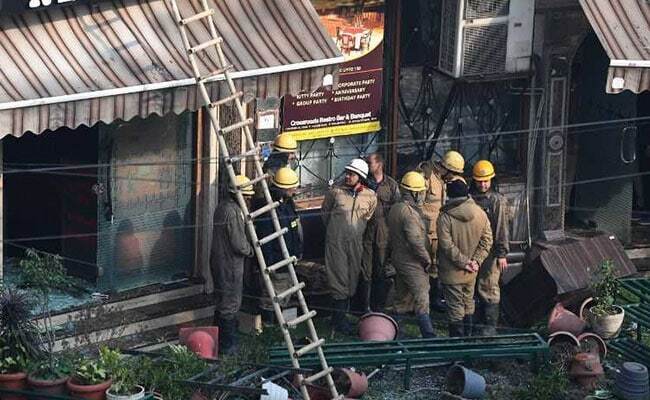 A short circuit is suspected to be the cause of the fire that broke out in Karol Bagh's Arpit Palace hotel in the early hours of Tuesday, a senior civic official said. The hotel was first granted a license in October 2005 and was renewed every year. The last renewal was done on May 25, 2018 and was valid till March 31. "As per information gathered from the site, it reveals that fire broke out in the second floor at around 3.30am on February 12 due to short-circuit," the official said. Delhi chief minister Arvind Kejriwal visited the hotel and announced Rs 5 lakh compensation to the families of those killed in the fire. He also said a magisterial inquiry has been ordered. More than two dozen fire engines were sent to the spot after the fire broke out on the top two floors of Hotel Arpit Palace around 4 am. Most of the 53 people in the 65-room hotel were sleeping at the time, the staff said. The fire was brought under control around 7 am. Thirty-five people were rescued and those injured were taken to nearby hospitals. Most of the deaths took place due to suffocation, the police said. "The hotel had clearance only for four floors. They had made a kitchen and terrace on top of it. This is a major case of negligence. Investigation is on. Strict action will be taken against the guilty," Delhi minister Satyendar Jain, who visited the site, said.